The charge is room charge. 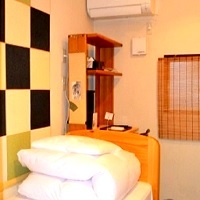 Shared room (2 beds) is available for male and female in the case of only one group reservation. ※To see details and status of booking click pictures and blue letters. ※Accommodation tax will be charged for the following fee from October 1st. Please acknowledge the tax (¥200 per 1 person 1 night stay). Special price day; The red days of the calendar applies. Friendly price day; The orange days of the calendar applies. Week day price; The white days of the calendar applies. Holiday before price; The green days of the calendar applies. Season price; The blue days of the calendar applies. The details of the room, please click the photo. It is a Western style room. 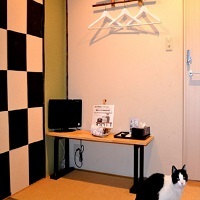 The size of the room is about 5 m².Ｄesk, TV, WIFI, Hair dryer Air conditioning equipped.It is a door key by PIN number. 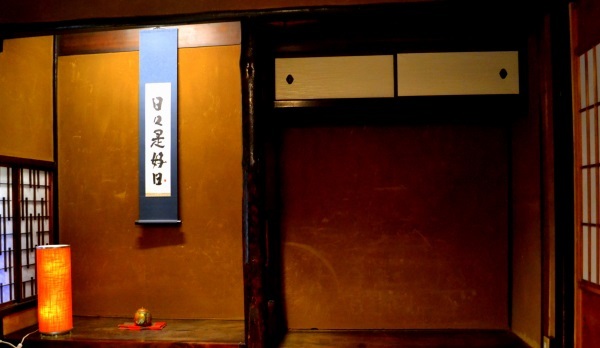 It is a Japanese-style room facing the tsuboniwa (a tiny garden). 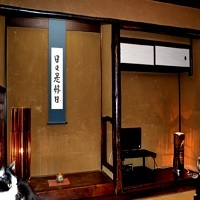 Since It used to be the tea room , The tokonoma (the Japanese-style alcove )is authentic . 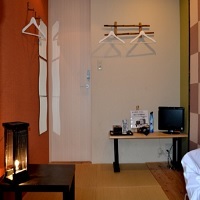 The room size is 9 m² with The tokonoma and itanoma (space with a wooden floor. Next to the room is a shower room and a toilet. With room key . The room has WIFI, air conditioning, TV, hairdryer. As this room is the only one on the 1st floor, it can be feel free to stay. Japanese-style 2 is spacious room where three can relax on the second floor. The size of the room size s about 7 tatami mats (11 m²). From the window you can see the streets of antique streets. Room lock key by PIN, WIFI, air conditioner, TV, hair dryer. Price per person is cheap. You have a big baggage,best to be available in person. You can stay in up to 2 people. Really quiet and relaxing space. The japanese room with a veranda. It is quiet because it is on garden side. From the veranda there is a view of the garden yard on the first floor. The size of the room is about 4 mats, 6.3 square meters. Room lock key with PIN. The room has WIFI, air conditioning, TV, hairdryer. 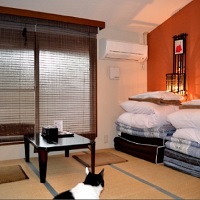 Japanese-style 5 is spacious room where two peple can relax on the second floor. The size of the room size 7.7 m². From the window you can see the streets of antique streets. This room has room lock key by PIN, WIFI, air conditioner, TV, hair dryer. There are only two beds divided by each locked door with locks. High ceiling with a skylight.You can also put a big luggage in the space of one mat(1.6㎡) next to the bed. The size is about 4.5 m² desk is attached to the bedside. Women only ,however it is available for men or women in the case of 2 beds use. 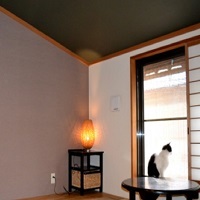 ・High-ceiling Room with Characteristic 'Machiya' Style. ・Room Capacity is 2 People. Caution When you make reservation(s) in dormitory, please choose the number (between1 and 2) of bed(s) you in the box for [number of rooms].